St. Louis, LA ... LA, St. Louis. Do the Brewers play anyone else? Not really. 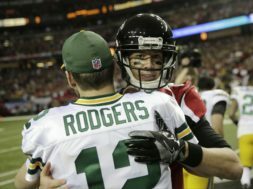 GREEN BAY, Wis. (AP) — How fortunes have changed in less than two years for the Atlanta Falcons and Green Bay Packers. The participants in the NFC title game in January 2017 are floundering this season. The Packers have already fired head coach Mike McCarthy. Falcons owner Arthur Blank reaffirmed support for his coach, Dan Quinn, after a four-game losing streak dropped the team out of the playoff picture. The game between the Falcons (4-8) and Packers (4-7-1) on Sunday at Lambeau Field was once circled on the NFL calendar as a potential matchup between contenders jockeying for a home game in the playoffs. Instead, it’s turned into a matchup between disappointing teams each trying to avoid a losing season. It sounds a lot like what the Packers are going through at Lambeau, where the future is clouded by uncertainty. Offensive coordinator Joe Philbin took over as interim head coach after McCarthy was fired following the stunning 20-17 loss last week to the lowly Arizona Cardinals. A coaching veteran with a dry sense of humor, Philbin has delivered simple messages at a time of upheaval. The Packers have lost three straight and five of six. They need lots of help to get into the postseason even if they can somehow win their last four games. At least the game could be worth watching for the quarterback play. Rodgers’ 61.8 percent completion rate this year is his lowest since 2015 (60.7 percent), though he has thrown just one interception all season. Rodgers has thrown a franchise-record 336 attempts without an interception, trailing only New England’s Tom Brady (358 in 2010-11) for longest such stretch in league history. One of the Falcons’ goals for the week is to jump-start their abysmal third-quarter scoring. Atlanta has been outscored 71-34 in third quarters, including 6-0 in last week’s 26-16 loss to Baltimore. The Falcons ran only five plays and held the ball less than two minutes in the quarter. By contrast, the Falcons’ 115 second-quarter points and 107 fourth-quarter points rank among the top five in the league. Philbin, the former Dolphins head coach in his second stint as a Packers assistant, has extensive experience coaching and putting together offensive game plans. But the previous time that Philbin called plays was when he was a college assistant at Northeastern in 1995-96. He’ll assume those duties again on Sunday since McCarthy was the play-caller in Green Bay. Of course, the Packers also have a veteran at quarterback in Rodgers who is often at his best out of the pocket when a play breaks down. The Falcons have lost eight players to injured reserve this season, including long snapper Josh Harris this week. They finally had a key starter return from IR last week when linebacker Deion Jones set a career high with 15 tackles and a sack against the Ravens. Jones missed 10 games after suffering a broken right foot in the opener against Philadelphia. Jones’ 15 tackles were the most by a Falcons player this season. The Falcons have the NFL’s worst rushing attack, averaging just 79 yards a game. They were held to 34 on the ground last week against Baltimore , a week after a season-low 26 against the Saints. “When we’re at our best, we’re running the football and we’re able to create play-action passes,” quarterback Matt Ryan said. This might be the week they get things going. Green Bay allowed a season-high 182 yards on the ground to the Cardinals last week, who have the league’s second-worst rushing offense. 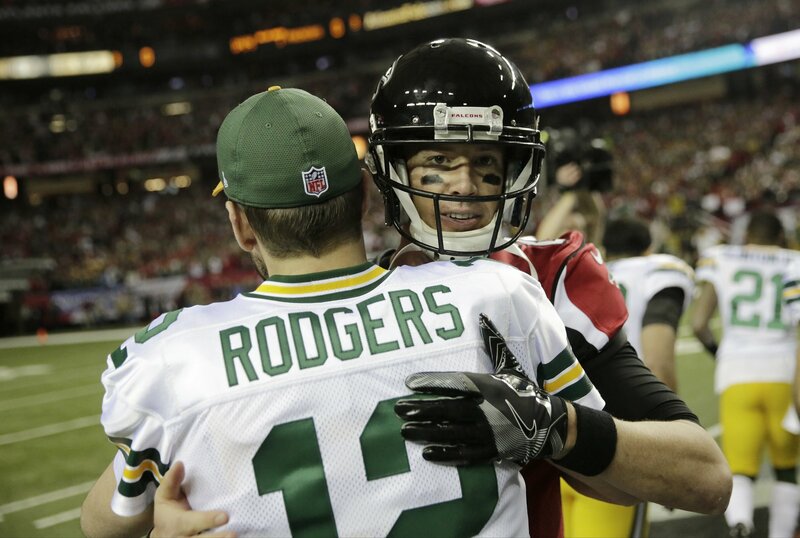 Matt Ryan re-signs with Falcons so where’s that leave Packers and Rodgers? 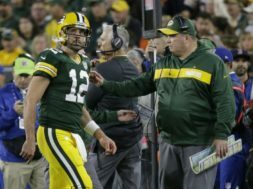 NFL ICYMI: Packers, A-Rod say ‘bye’ to McCarthy; who next? 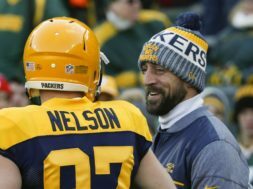 A Jordy Nelson-Packers comeback? Make the call Rodgers! What will you be tuned into this weekend?